New in: Summer fave lipsticks - Start loving your life! I thought vacay meant a lot of spare time, but nothing was less true. Last months, I did not only work in a drug store, but also filled my days with child care like I love to do! But this meant I had fewer time for my blog. However this didn't mean I stopped buying and watching the new trends. So get ready for many more posts starting with this one. Since a couple of months, I'm loving to wear lipsticks and my collection is slowly growing. This vacation I added 3 more to the collection. As you could see in my previous post, I went on vacation to Italy. Kiko Cosmetics is originally from Italy which means there are Kiko shops in every city. I couldn't resist passing by and did buy some things including the Ultra Glossy Style with SPF 15 in the colour 812 Black Cherry. This lipstick has a melting effect when applying on your lips. When putting the lipstick on your hand it feels sticky, but if you apply it on your lips it doens't give this sticky feeling at all. It feels like you're putting a lip balm on your lips and has a vanillia smell. 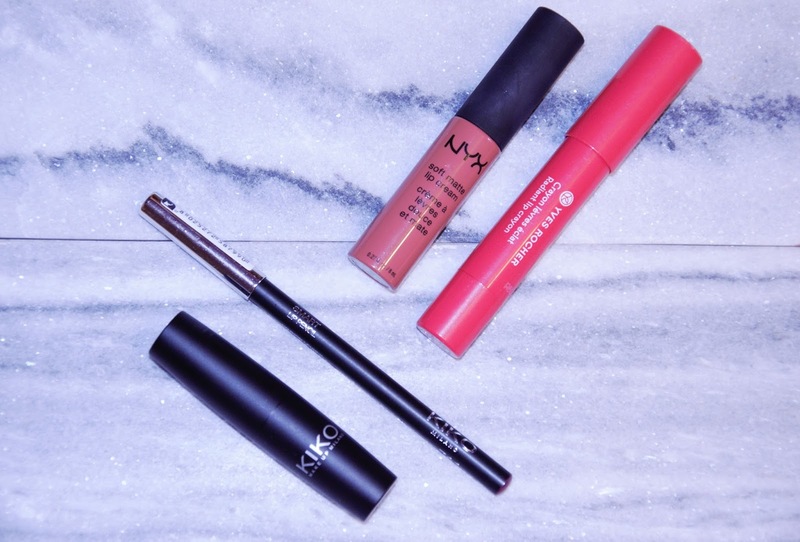 I combine the lipstick with the Smart Lip Pencil from Kiko in the colour 711 Light Plum. This fits perfectly with the lipstick and both stay for a really long time. The combination is wearable both in summer and autum as these warm, berry/cherry colours are an upcoming trend. 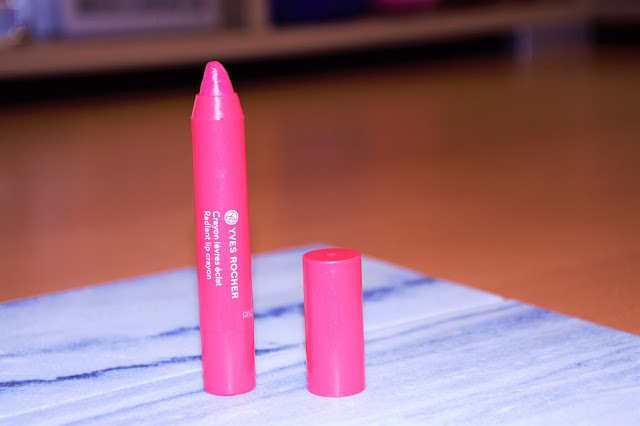 Another one of my summer favourites is the Yves Rocher Glossy Lip Pen in Rose Sorbet. I got this one from Flair in a photo contest. This flashy colour makes me instant happy although it first gave me 'the Barbie-look' impression. This colour is perfect in combination with a sunkissed skin. By just adding this lipstick in summer, you'll look great even though you're not in to putting a lot of make-up on. I like the idea of a lipstick in pencil form as you can add the lipstick more precisely. Unfortunately, the smell of the lipstick remembers me to my moms and grandmoms old make-up which I do not like. The coverage however is very good. My last summer favourite I bought in the new NYX Cosmetics shop in Ghent. I wanted a new matte colour and got stuck by the Soft Matte Lip Cream in the colour Cannes. I really like matte lip creams although I think they all dry your lips a bit out. They just look so classy on your lips and stay so much longer than usual lipsticks. The colour Cannes is a dark rose, brown toned colour. The colour is perfectly for daily wear just like the texture is. The smell reminds me of my favourite caramel candy which I love. This makes me apply the lipstick even more. 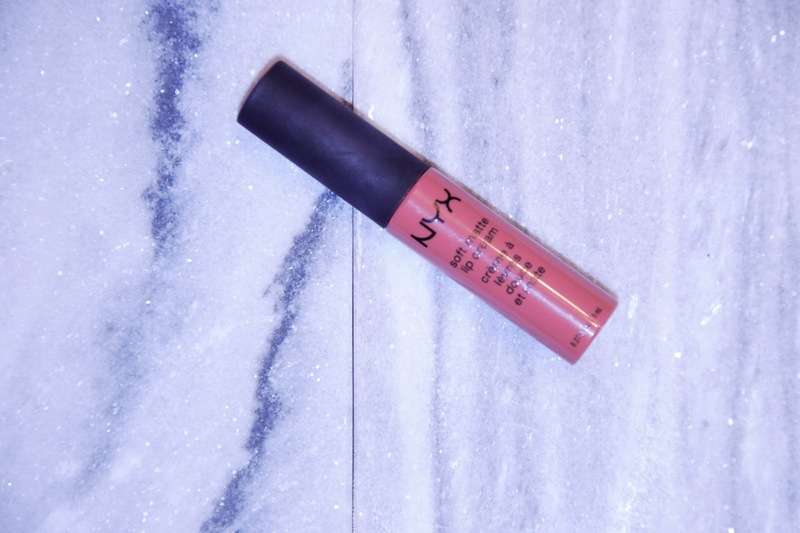 I do not own any other NYX lipsticks, but if they smell as good as this one, I'll buy other ones definitely in the near future. What are your favourite summer lipsticks? Let me know. Hello everyone & welcome to my blog! My name is Imke & I'm a 20 year old Marketing student. It has always been a passion to make a blog to inspire others. I really like beauty, fashion & I'm a real music fanate. I hope you enjoy my blog and keep reading for more interesting things! Hello everyone, Today I have something special for you. Spring weather is in the air and that means time for something new.